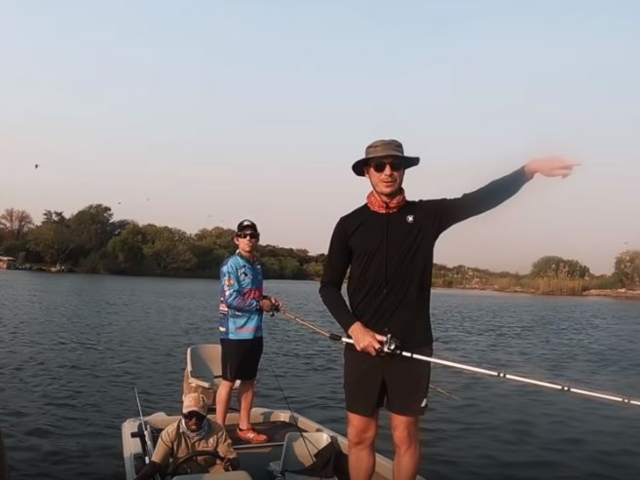 In case you missed the video from earlier this month, Dale Steyn and his mates are off chasing tiger fish. You can watch the first part of ‘Chasing the Wild’ here, where Bret Bargiacchi, Dale, Carl Cardinelli and Geran de Klerk reel in a few beauts. While heading for the Namibian border to check back into Zambia, a family of hippos stick their heads out of the water in front of the boat. As the guide swerves out to miss them, Geran grabs the camera, which was on top of the passports. One gush of wind sends Carl’s passport into the river, disappearing between the hippos. A trip to the nearest town’s police station was met with laughs from the locals – who must have thought this entire story was made up. Ah yes, the old ‘hippo ate my passport’ excuse. Who amongst us hasn’t tried our luck? Lekker, Dale – now destroy the Ozzies in the upcoming ODI series on their home turf and we’ll share the third part with our readers.